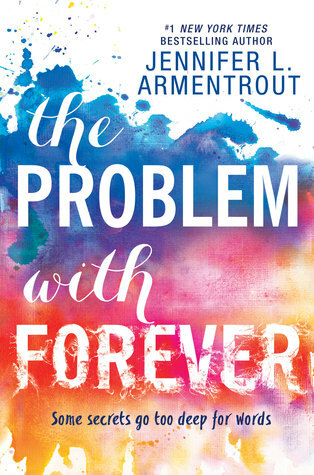 The problem with forever is a romance contemporary about a girl called Mallory dodge who doesn't talk because of her tragic past. The only one that has saved her from her tragic past when she was a kid was Rider. Now, four years separated, they meet again. Now, with the help of Rider, she must make a choice between staying silent and speaking out for the ones she loves, the life she wants and the truths that need to be heard. 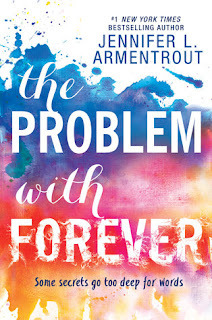 I love Jennifer L. Armentrout's books, my favorite being the Lux series so of course I had high expectations for this one! I really liked this book and maybe I loved it, saying that I read it in a day but it was lower than what I had hoped it would be. Jennifer's writing is beautiful and funny as always but I felt that the story of this book was just a bit...clique. I have read numerous stories of a silent girl with a traumatic past and her learning to move on from it years later. I mean, come on. It's a simple story. But does that mean this book was bad? NO! The characters were interesting, fun and Rider was just SWOON! Plus, this book did rack these emotions out of me and by the end of the book I had tears in my eyes. This book did teach a really good lesson and the romance in this book was great as always. I just personally don't think that this book was Jennifer's best work. I rate this book a 3.5/5. It was a nice enjoyable read and I would recommend this to anybody looking for a short but thoughtful story!